A dear friend of mine, Natalie, has a son who is three weeks younger than Matthew. Prior to becoming a mom, she relied on simple meals to feed herself and her husband; however now that she is feeding a youngling, she has been revamping their diets to focus more on sustainable, organic fare that is quick and easy to prep while an energetic toddler is scooting around the condo. Recently, she asked me for tips, tricks and recipes that she could make for both her sweet pea, Lincoln, as well as herself and husband, Sam. This request spawned an idea that I am hoping you will enjoy as well. This week I am introducing a new series called Family Favorites that will focus on meals that are both kid- and adult-friendly, have minimal weeknight prep time and are flavorful and sustaining. My plan is to jump start the series this week and to make regular future additions. The majority of the recipes on MMM are family-friendly. Matthew does not regularly enjoy a separate meal. Although, sometimes meals are adapted for his eating style and comfort level with food. For example, he may not have a traditional salad with his meal, but will instead eat avocado, red pepper and cucumber or an extra helping of sweet potatoes. 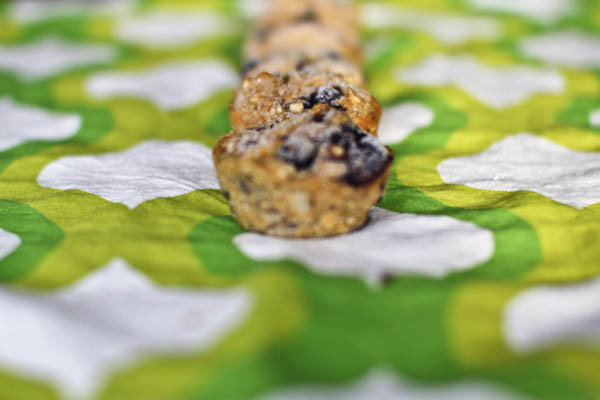 The Family Favorites posts will simply be geared towards simple, tried and true meals and snacks that our whole family enjoys along with a few posts that feature tips and tricks to eating clean. In addition, meals that Matthew really enjoys will still always be denoted by the category Matthew Approved, which can be accessed from the sidebar. 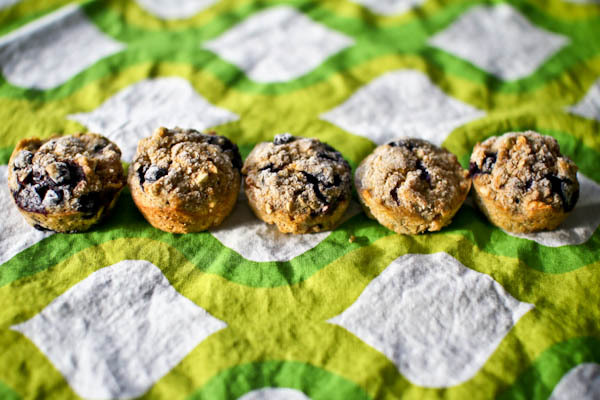 The very first Family Favorites recipe is coincidentally for muffins. 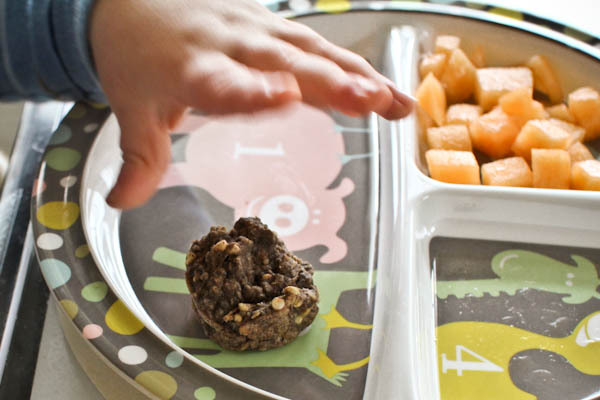 I have been meaning to post this recipe since Matthew began eating solids. I have made many adaptations of this recipe based on what we have on hand, what is in season and the leftovers we have in the fridge. Matthew has enjoyed every single version that I have baked for him, so much so they are hands down his favorite afternoon snack. 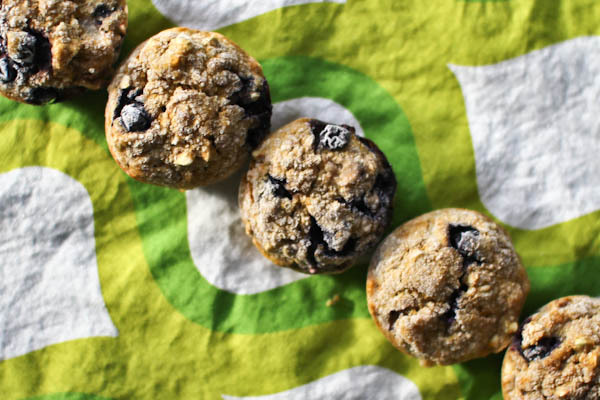 This whole grain muffin recipe is gluten-free, oil-free, unsweetened and packed with nutrition. If your family likes something a little sweeter try slathering them with nut or seed butter, coconut oil, organic grass-fed butter, a very ripe banana or organic unsweetened applesauce. Fell free to experiment with the ingredients based on what you have on hand. This recipe is very difficult to mess up, so have fun! Preheat oven to 350°. Line, spray or grease (with coconut oil) 2 regular sized or mini muffin tins. In a large bowl combine dry ingredients. Make a well in the center and add wet ingredients through extracts. Stir until combined. Gently fold in berries, dried fruit and/or nuts, if using. Divide batter among prepared muffin tins. Bake 12-25 minutes. This will vary greatly dependent upon the muffin tins size that you use along with the ingredients that you choose from the options above. This recipe yields approximately 24 regular sized muffins. I always make this many muffins so that I can freeze leftovers and have easy snacks for Matthew and myself for two weeks at a time. *I grind my own buckwheat and oat flour by processing raw buckwheat groats, raw oat groats, rolled oats or steel cut oats in my blender until they are powdery flours – super simple and a big cost savings over buying reground flour. Plus, I think that the freshly ground flours taste better than preground. **A very ripe banana will produce a sweeter muffin. Happy Butterscotch Pudding Day! In honor of this worthy holiday, my chocolate butterscotch pudding recipe was featured on Life of the Party, the official celebrations.com blog, check out the post to find several delicious butterscotch pudding recipes to celebrate the occasion.